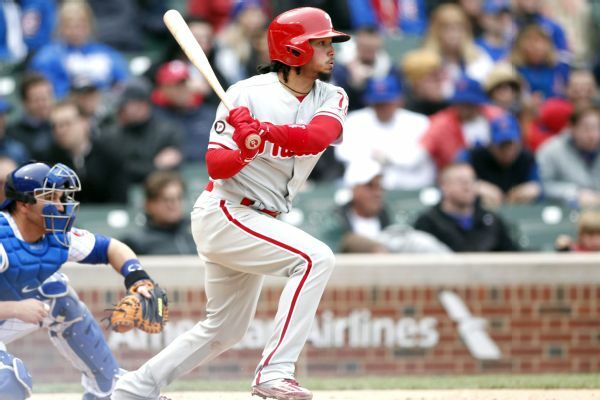 Shortstop Freddy Galvis, acquired last month from the Phillies, was one of six players to reach agreement on one-year deals with the San Diego Padres to avoid salary arbitration. 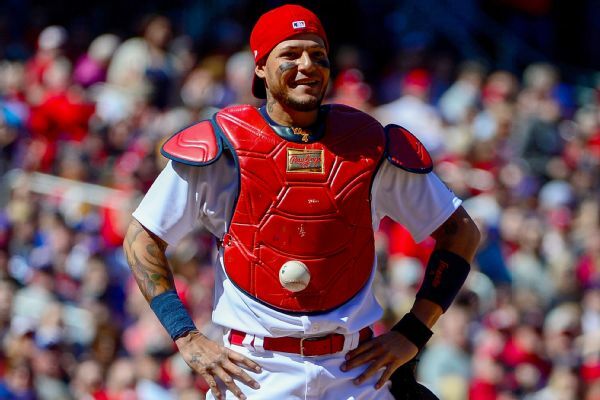 Cardinals catcher Yadier Molina denied having pine tar -- or any other substance -- on his gear after a wild pitch stuck to his chest protector in a loss to the Cubs. 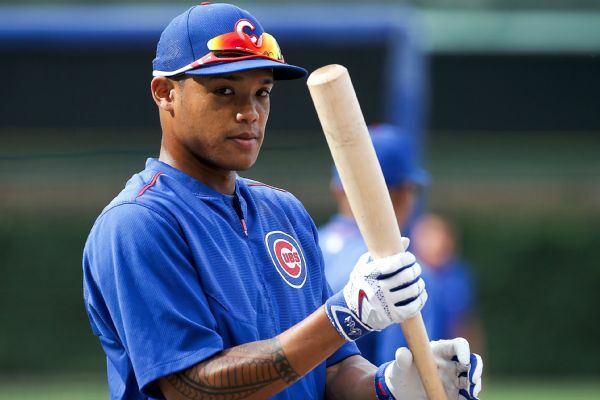 Addison Russell missed time late in the spring with back problems, but says he's ready for Opening Day. 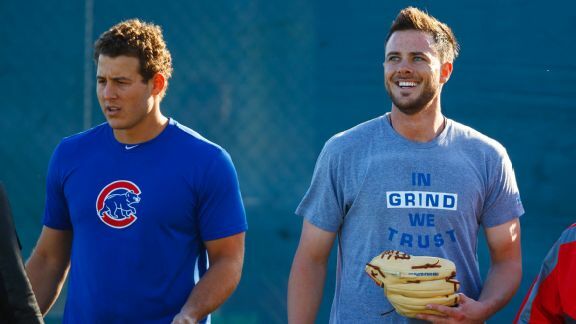 Long-suffering no more, Chicago is aiming to keep the lovefest going while fans get their first glimpse of life at the top under the Arizona sun. 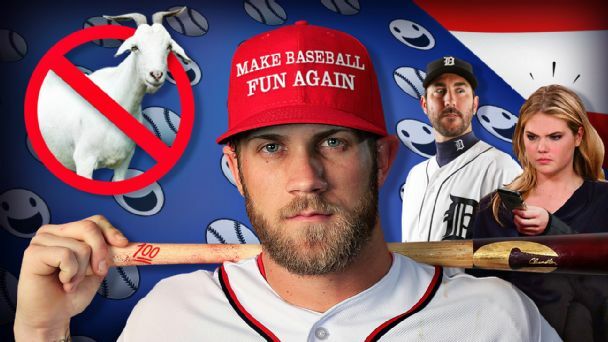 Bryce Harper's hat handed MLB a mission statement. The game has more than lived up to the challenge. MLB Rumor Central: Rangers interested in Jorge Soler? 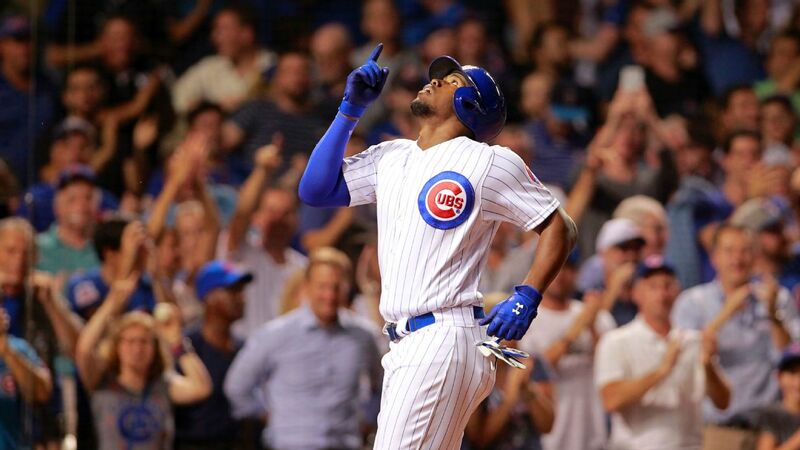 The Rangers have added Jorge Soler to a right-handed-hitting wish list that includes Edwin Encarnacion, Mark Trumbo and Mike Napoli. 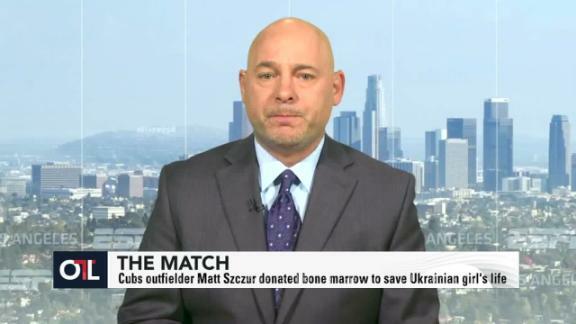 ESPN's Jesse Rogers details the story of Cubs OF Matt Szczur, who donated bone marrow to save a Ukrainian's girl's life. 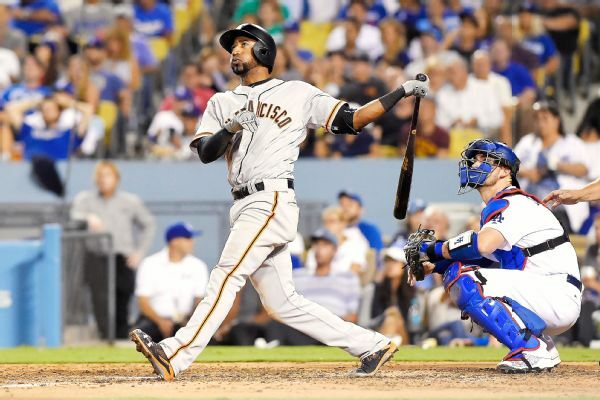 The San Francisco Giants put Eduardo Nunez on their roster for the NL Division Series against the Chicago Cubs after the third baseman had been sidelined with a strained right hamstring. 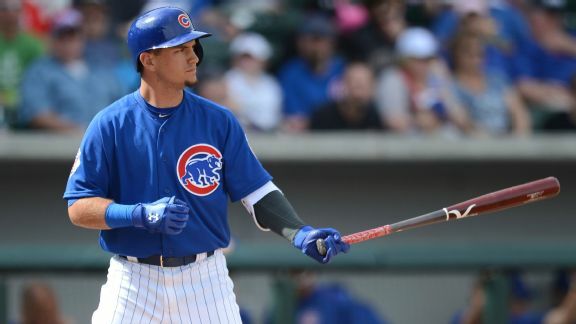 In keeping Albert Almora Jr. on the playoff roster, the Cubs took the hot hand over the player who's been with the team all year.